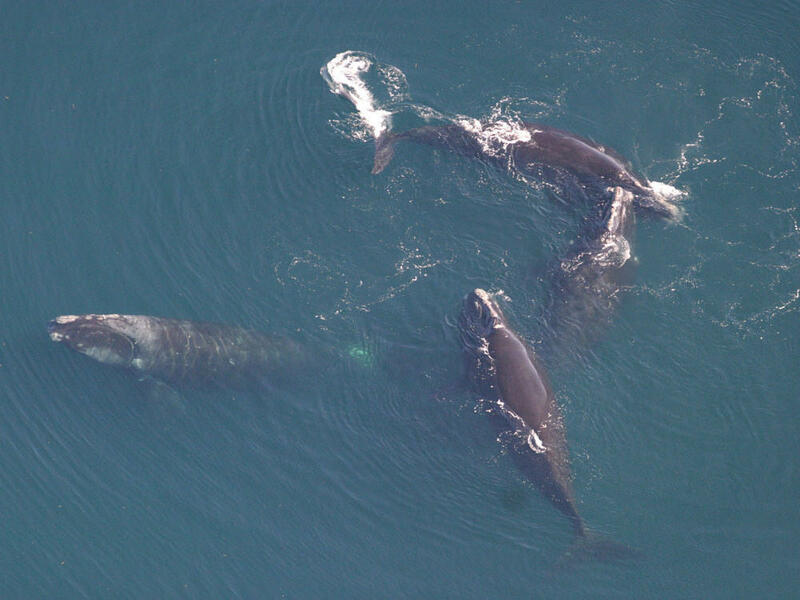 Right whales engaging in what scientists think might be reproductive or social behavior. NOAA will be collaborating with Fisheries and Oceans Canada on the investigation. That agency's Matthew Hardy says entanglement in fishing gear, and boat strikes are the chief threats. "That's not to say that we haven't been looking at other factors and contributing factors," he says, "and that's why I say that this is still an extensive process - just to go through all the other factors and make sure we're having a really holistic look at the whole situation." North Atlantic right whales have a total population of only about 500 in the world. The deaths this year represent between 2 and 3 percent of that population. Officials say with numbers that low, any deaths threaten the recovery of the species. The investigation doesn't have a specific timeframe. It's also not clear what, if any, changes in policy could result.